In the Philippines, ShopBack is a strong marketing channel for Lazada, ZALORA, Shopee, FoodPanda, Agoda, Booking.com, and more. ShopBack Philippines saw a 900% increase in the number of users last year, propelled by traffic that grew by nearly 10 times in Q4 2018. Today, it sustains a month-on-month growth of up to 75%. ShopBack’s new round of funding will be deployed into simplifying shopping experiences, expanding data capabilities to fuel personalization and business insights, as well as accelerating growth in key markets. The company remains focused on building rewards and discovery features to enhance both online and offline shopping experiences for consumers across the Asia Pacific. ShopBack is the one-stop rewards and discovery platform that helps users make smarter shopping decisions. Users save time and money when they engage a service or buy a product via ShopBack, and also look to ShopBack for inspiration for their next dream vacation and gadget picks. The platform enables brands and merchant partners to reach millions of engaged users across 7 countries in the Asia Pacific today. ShopBack now powers purchase decisions across multiple lifestyle categories in the online space, including e-commerce, online travel, ride hailing and food delivery; with its growing presence in the offline space, the company is well-positioned to deliver smart shopping solutions tailored to consumers’ evolving purchase habits—both online and offline. 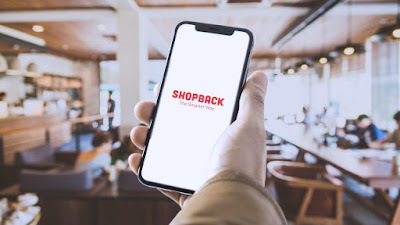 Leading the wave of smarter shopping in Asia Pacific with a one-stop lifestyle platform that powers smarter purchase decisions, ShopBack has been working with leading e-commerce merchants since 2014, rewarding consumers with cashback whenever they shop via ShopBack. Visit www.ShopBack.ph for more info. Download the ShopBack app for iOS and Android devices.